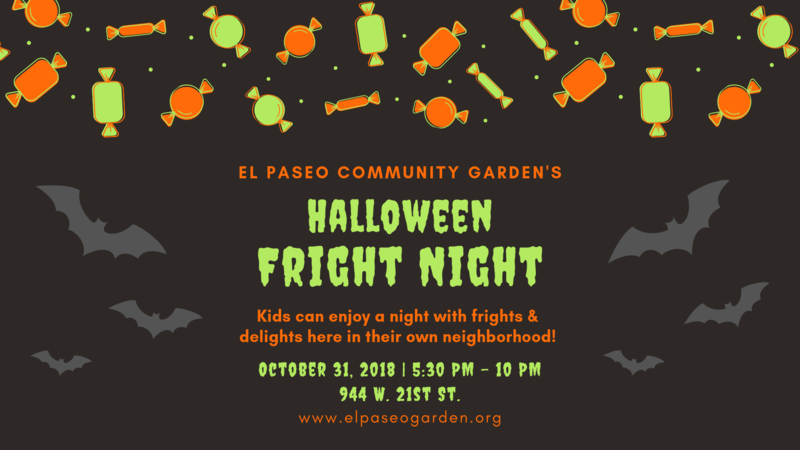 Bring you kids to trick-or-treat at our first Halloween event in partnership with community residents, Gabriela Parra and Garrett McGinn! The garden will be decked out in all it’s spooky glory for all the goblins and ghouls! Contact us to make a candy or monetary donation. High School students needed to volunteer for this event. Service hours maybe completed. Join us for our Pumpkin Drive and Carving Contest! Winner will receive a Lo Rez Growler! Limited supplies available. First come first serve. This is a family friendly event. 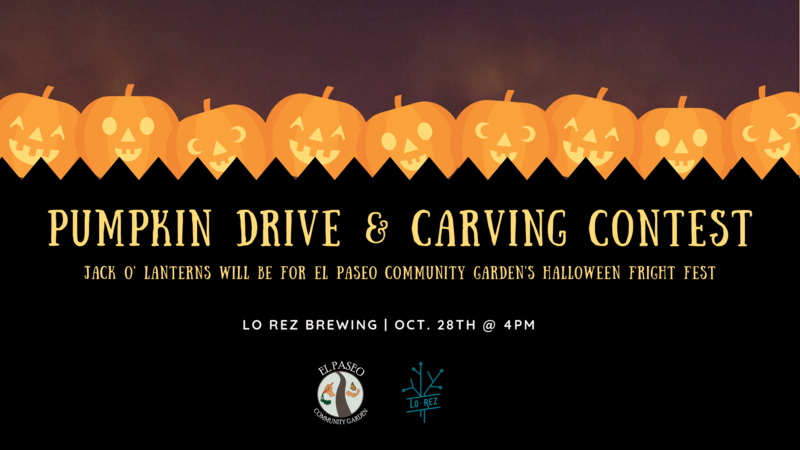 Please note that the pumpkins will stay at Lo Rez Brewery & Taproom until they are showcased at the garden on Halloween night. Contact us to make a pumpkin or monetary donation.